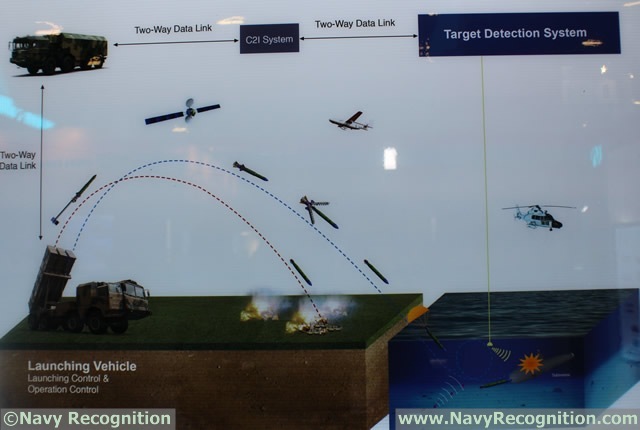 A Poly Technologies representative at AAD 2014 was not very talkative on details but explained the system was still just a concept and that no test fire have been conducted yet. We were told that any type of torpedo may be fitted on the "WS" rocket. However it seems very unlikely to us that the rocket would be able to lift a heavy torpedo so the system is probably limited to light weight torpedoes exclusively. 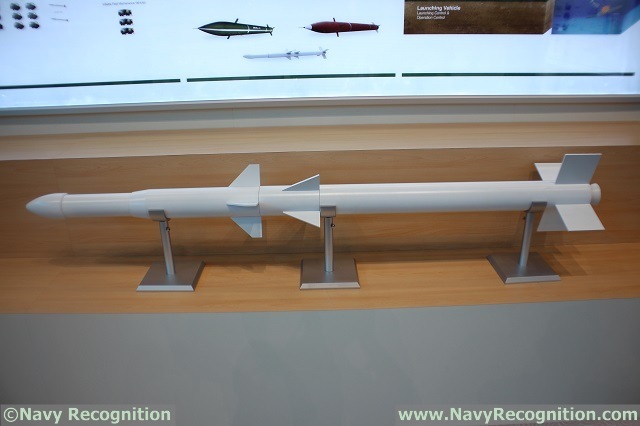 Regarding the range, the Poly Technogolies representative explained the rocket (with the torpedo at its tip) could reach distances of around 100 Km. 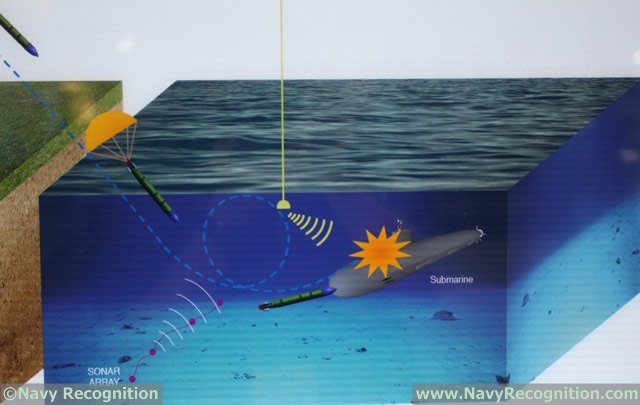 Detection and localisation of enemy submarines is achieved thanks to sonar arrays installed in coastal areas (on sea bottom). Based on the conceptual images, our expert colleagues from Army Recognition can identify the launch vehicle as being a WS-3 multiple launch rocket system typically used as a classic MLRS.